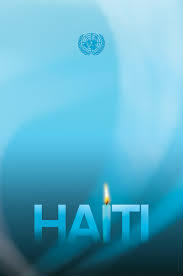 On 12 January 2010 a devastating earthquake struck Haiti. It measured 7.0 on the Richter scale. Hundreds of thousands of Haitians lost their lives. The United Nations lost 102 of its staff. Today we remember our fallen colleagues and the other victims of the quake. The mandate of the United Nations Mission for Justice Support in Haiti (MINUJUSTH) is set out in the Security Council Resolution 2350 (2017), which was adopted on 13 April 2017. It provided for the establishment of a peacekeeping mission in Haiti that would begin operations upon completion of the mandate of the United Nations Stabilization Mission in Haiti (MINUSTAH). The Mission will be composed of 351 civilian staff, up to seven Formed Police Units (FPUs) (comprised of 980 FPU personnel) and 295 Individual Police Officers (IPOs), for an initial period of six months from 16 October 2017 until 15 April 2018.